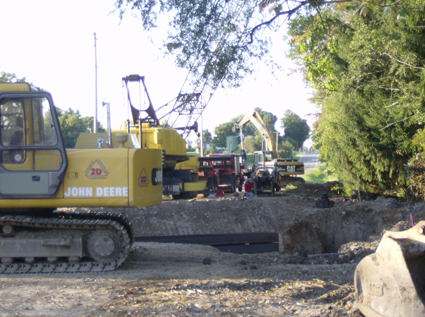 2D Construction has been serving Northeast Ohio with quality industrial and commercial construction since 2000. 2D Construction is certified by the Ohio Department of Transportation (ODOT) and the Northeast Ohio Regional Sewer District as a Small Business Enterprise (SBE). We provide services such as concrete construction, structural steel, specialty coatings, utilities construction, and excavation for site work. We also provide 24 hour emergency repair services. 2D Construction provides these services to industrial, commercial, and government agencies. 2D Construction LLC is an equal opportunity employer.